Twelve of the Queen’s most priced treasures have been stolen! The thief was last seen running through the castle’s stone maze, dropping objects in his haste to get away. It's up to the gnomes to find the treasures and return them to the Queen before morning. Can you help? 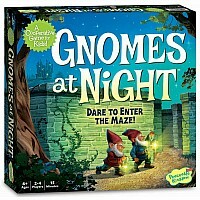 Gnomes at Night is a cooperative search-and-find maze game where players work as a team to maneuver the magnetic gnome movers around the maze. Work together in this quick-thinking communication game where every second counts! What's a cooperative game? It's a game where everyone plays together, no one is left out, and everybody has fun! Players work as a team against a common obstacle, not against each other. Cooperative games emphasize play, not competition. Kids work together, help each other and, most importantly, they play for FUN! The maze paths are different on each side of the board. You may move your piece only along the paths on your side of the board. You cannot move your piece through a wall in the maze, but the player on the other side of the board CAN move your piece through walls. That’s how you can help each other reach a treasure! 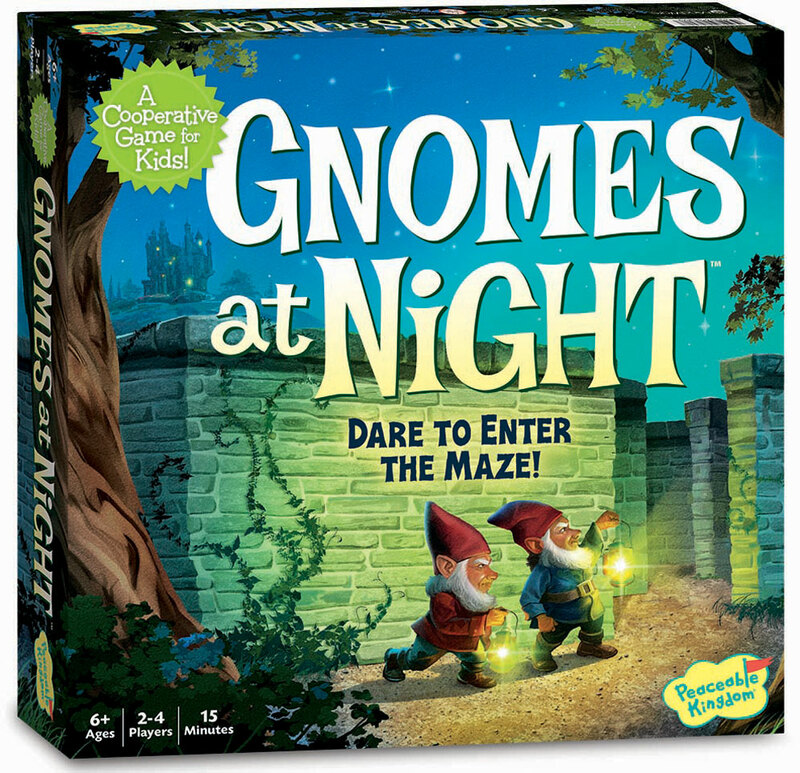 Gnomes at Night is a great way to develop effective communication skills. Players race to identify the treasure as shown on the card to determine which side of the board that treasure is located on. Players work together maneuvering through the maze, sometimes you will be able to move easily toward the treasure, sometimes you will need to back track. Using descriptive language like left, right, up, and down will help your teammate better assist you in collecting the treasure! Recommended for ages 6-10 years. Measures approximately: 10.80 x 11.00 x 2.20 inches..